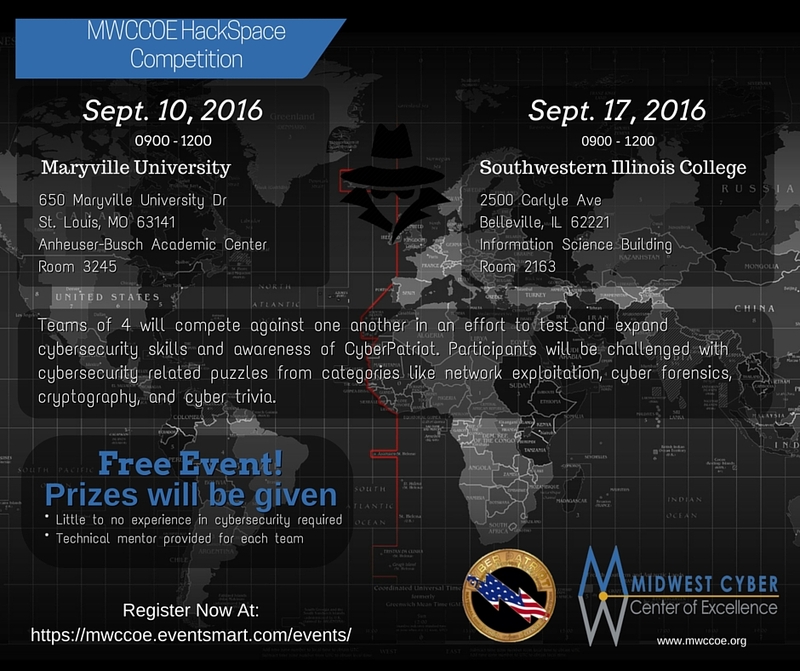 MWCCOE HackSpace Competition, presented by the Military Cyber Professionals Association – St. Louis Chapter (MCPA), will be held at the Anheuser-Busch Academic Center, Room 3245 at Maryville University. Volunteer cyber advisors from 375th Command Squadron at Scott AFB and Security Advisor Alliance (SAA) will help answer any technical questions. Little to no experience in cybersecurity required. THANK YOU SECURITY ADVISOR ALLIANCE (SAA) FOR SPONSORING THIS EVENT!